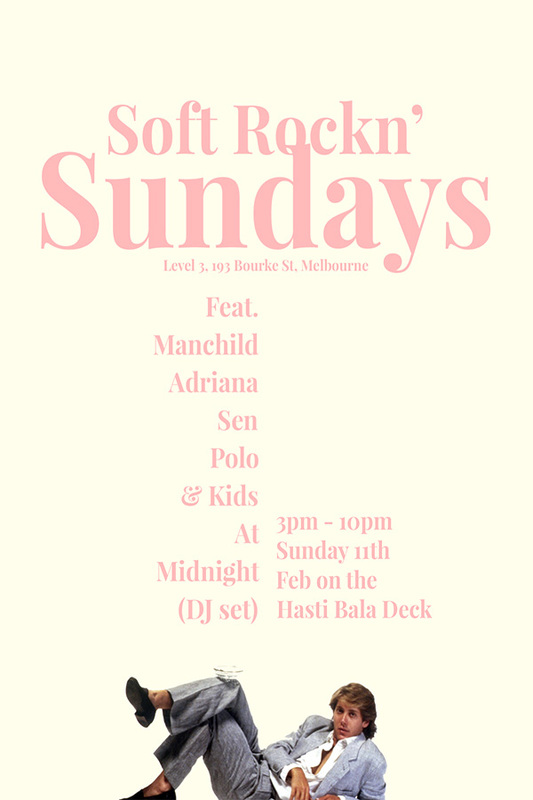 Come join some of Melbourne’s sexiest Sunday sound selectors for Soft Rockn’ Sundays & sooth your ears with some choice tunage and sultry rooftop times. From soft rock to disco, world to boogie, join us outside on the tropical dream deck at Hasti Bala for a rad arvo. It’s all hands on the decks out on the deck!